Searching in a library will always return a book (or a poetry book). Libraries have no internal descriptions. Libraries can be barricaded normally. The Quartly Library is very close to several useful buildings, such as Dempsey Grove Police Dept, Eligius General Hospital, two NecroTech buildings, and the Hildebrand Mall. Before the attacks, the library was world famous for the collection of Rare Tomes of Forbidden Knowledge which are kept in a sub-basement. It remains to be seen how many of the books have survived the Zombie Plague. This location is under Truce: zombies, PKers, Bounty Hunters and humans may all stay here without fear of being attacked by the others. No killing. No barricades. The Quartly Library is under Truce: zombies, humans, and PKers are all welcome. This means it is a No-Kill zone: no killing except in self-defense, unless you're evicting someone on the On Notice List! Bounty hunting, XP farming, and revenge killing are not permitted. Do not build barricades unless absolutely necessary. Barricades impede our zombie patrons. Please be quiet and respectful of your fellow patrons. No groaning. Do not revive zombies unless you are sure they wish to be revived. When in doubt, ask for a Mrh? Please return books to the main desk. Food and beverages are limited to the lobby, the foyer, the cafe, and the Reading Room. In all other areas food is not permitted and beverages must not be in open containers. If the "Do Not Disturb" sign is on the door to the Large Print Annex, do not open the door. Knock and wait for an answer. Do not handle the items in the Rare Document Room without cotton gloves and a facemask. 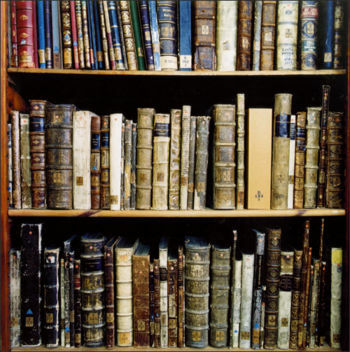 Access to the Rare Tomes of Forbidden and Arcane Knowledge is by librarian's discretion only. Those who violate these rules may be escorted from the premesis by a librarian. Repeat violaters will have their library cards revoked and be added to the On Notice List. The Truce at Quartly is respected by many of the largest groups in Malton, from a variety of walks of life, including the Philosophe Knights,the SSZ, the Malton Rangers, and others. On two seperate occasions, the Gore Corps and the Philosophe Knights have assisted the librarians in protecting library patrons from rulebreakers. In the suburb of Roftwood, near Hildebrand Mall. April 26, 2008 The end of the library, good luck and god bless. March 24, 2008 And the Dead shall outnumber the living. February 28, 2008 Word on the street is it's all gone again. December 6th, 2007 the librarians have returned from their tour! Party in the Quartly! July 21, 2007 The librarians will going on tour while construction workers renovate the Large Print Annex. Everyone is looking forward to seeing the library's new look when it's complete! July 12, 2007 During the library's "remodeling phase," the Quartly Librarians are gathering overdue books from dropboxes throughout Malton. Fine Forgiveness Week runs from July 14-21, and residents are encouraged to take advantage of this opportunity. July 10th, 2007 The combined efforts of feral zombies and a small but dedicated group of anti-librarian griefers culminated in the overrunning and ransack of the Library, in what is becoming known as The Battle Of (insert witty name of battle here). June 5, 2007 - The Church of the Present Resurrection provides Sacrament for the Quartly Study Group. May 31, 2007 - The Inquisitors of the Militant Order of Barhah made a guest appearance at the Quartly to say hello, grab some (purely affectionate) hugs and check out a few books before continuing on their barhaptizmal schedule in Roftwood. May 11, 2007 - The Apocalypse Now troupe of Drama Club performed here by special invitation from Quartly Study Group as part of a talent show being held here. See the group page for details and a .JPG of the performance. August 28, 2006 - The Quartly Library remains under the control of the Quartly Study Group and their allies. The Head Librarian is very pleased with their ability to keep the library safe despite the recent infestation of Zombies. The QSG will keep making attempts to reclaim Hildebrand Mall and the nearby neighborhoods. Libraries are for everyone and should remain barricade free. The Quartly Study Group has been defending and maintaining the library on behalf of the citizens of Malton. Any survivors are welcome to make this location their permanent base of operations, the Head Librarian only asks that they respect the Rules of The Library. This page was last modified on 14 February 2018, at 15:30.